Surface (2016) is a collaborative project conceived by sculptor Colby Parsons and choreographer Rosemary Candelario, and created with dancers Kara Beadle, Yeajean Choi, Erika Record, and Najwa Seyedmorteza, with music by composer Westin Portillo. 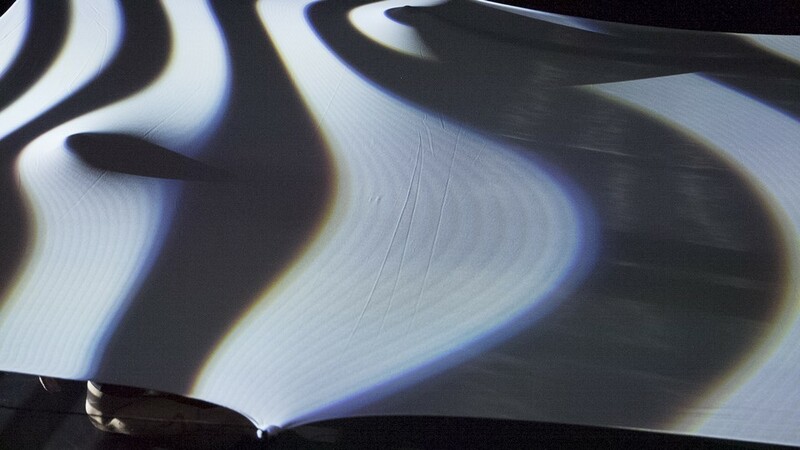 The installation/performance involves a large bolt of elastic projection fabric supported horizontally a few feet off the ground on a metal frame, while bands of light move slowly across it. 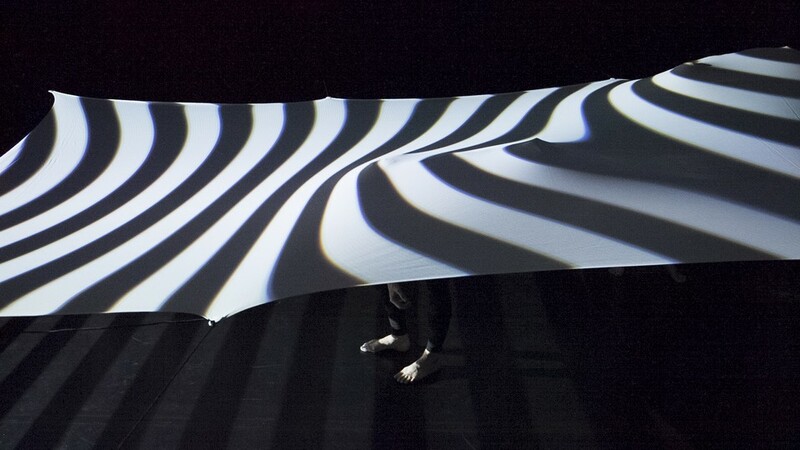 Projections come from both ends at a low angle, and when the fabric is pressed upward, the lines of the light are bent and curved, much like elevation lines on a topographic map. 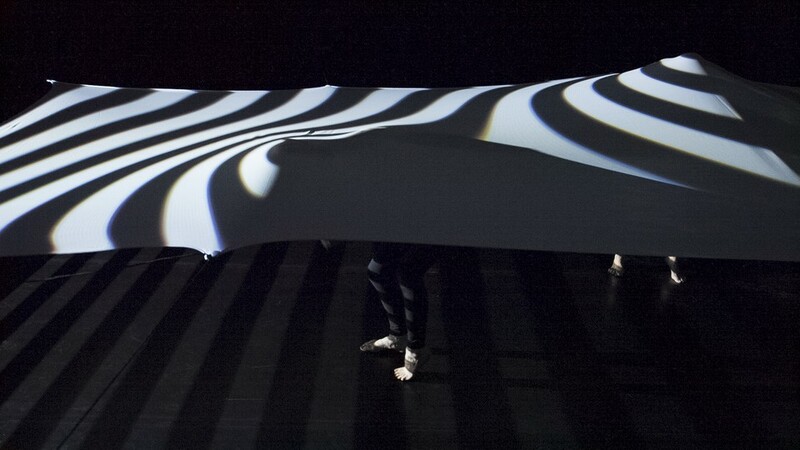 In the performance, dancers move beneath the fabric, pressing their bodies upward into it, creating luminous landscapes that flow and morph as the dancers move. 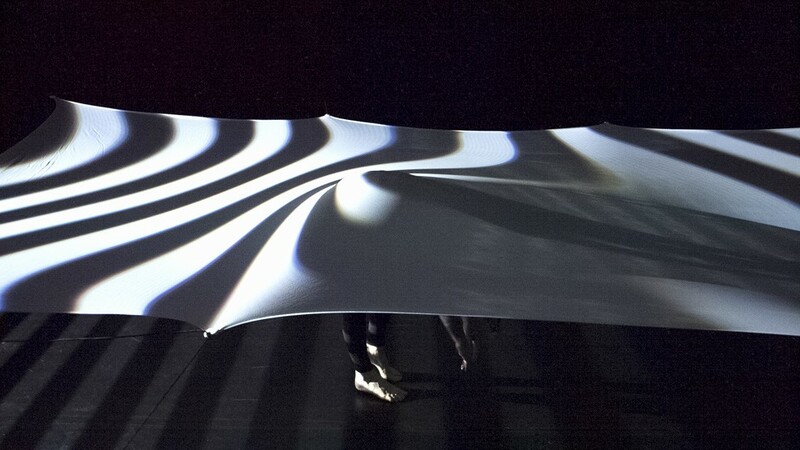 The design of the support structure allows viewers to see not only the surface of the fabric, but also the dancers themselves, who are more subtly articulated by bands of light. The simultaneous awareness of the otherworldly surface, and of the bodies below that give it form, are meant to create a mythopoetic synthesis; to imply that the shadowy figures beneath have the power to create and transform on what one could imagine to be immense scales. The structure of the installation is planned to allow viewers experience it from a variety of vantage points. The pace of the performance will cycle through phases that are at times urgent, and at times nearly glacial, gradually changing, and allowing viewers to enter and exit the experience at any point. The duration will be adapted to the event – potentially lasting throughout.